Fr. Kevin Mundackal was born and raised in Thornwood, NY, a suburb of New York City. 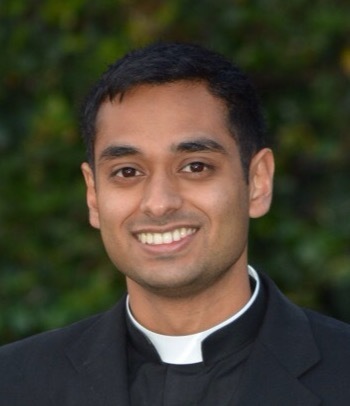 After completing his high school studies, he joined the seminary in 2010 to begin his philosophy studies at St. John Neumann in Yonkers, NY and then continued his philosophy studies at St.Joseph College Seminary at Loyola University Chicago where he obtained his Bachelors in Philosophy in 2014. After his philosophy studies, he was sent to Rome where he underwent seminary formation at Pontificio Collegio Internazionale Maria Mater Ecclesiae. He obtained his Bachelors in Theology from Ateneo Regina Apostolorum, Rome in 2017. After completing his theological studies, he was sent to Kerala, India where he spent six months St. Joseph Pontifical Seminary, Aluva to focus on SyroMalabar related topics. During this time, he served as a deacon at Little Flower Church in Elamkulam, in the Ernakulam-Angamaly Archdiocese, where he taught catechism classes and assisted in liturgical services. Fr. Kevin returned to the United States in 2018 and continued his deacon ministry at Our Lady of Health SyroMalabar Catholic Forane Church in Coral Springs, FL. On May 5th 2018, he was ordained to the priesthood for the St. Thomas SyroMalabar Catholic Diocese of Chicago by Bishop Mar Jacob Angadiath at St. Thomas SyroMalabar Forane Catholic Church in Somerset, NJ. 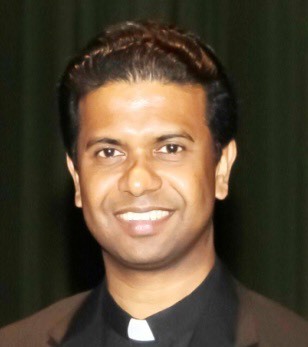 On July 12th 2018, Mar Jacob Angadiath appointed him as Assistant Pastor of the St. Thomas SyroMalabar Cathedral in Chicago as his first appointment.